Obituary – Baney, Mary Ann (Fox) « Perry High School Alumni Association, Inc.
G.R.A. 63-67, F.H.A. 64-65, 66-67. 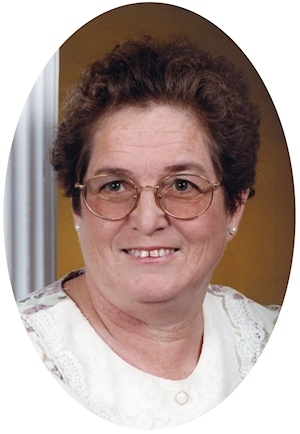 Mary A. Baney, 65, of Perry, Oklahoma was the daughter of Emner S. and Luellen R. (King) Fox. She was born February 1, 1948 in Carnegie, Oklahoma and died Sunday, May 12, 2013 in Ponca City, Oklahoma. She married her best friend on April 2, 1987 in Miami, Oklahoma. Gary preceded her in death July 7, 2000. Mary loved to sew and could always be counted on to lend a hand. She enjoyed helping people any way she could. 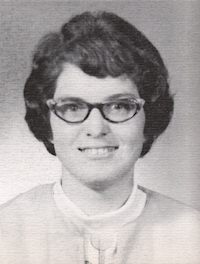 She was an active member of the Calvary Baptist Church in Perry, Oklahoma. Funeral services will be held 2:00 p.m., Thursday, April 16, 2013 at the Calvary Baptist Church, in Perry, Oklahoma. Rev. Roger Dunn will officiate. Interment will be in Grace Hill Cemetery in Perry, Oklahoma. Services are under the direction of Brown-Dugger Funeral Home. Mary is survived by one son John Henry Sanders of Marland, Oklahoma; three step-children, Belinda Bake of Broken Arrow, Oklahoma, Gary Carter of Broken Arrow, Oklahoma, Thomas Carter of Broken Arrow, Oklahoma; one sister, Donna Bannon of Yukon, Oklahoma. She was preceded in death by her husband Gary Baney; her parents, Emner and Luellen; one sister, Nellie Reaves; one brother, Danny Joe Fox.